Few turfgrass producers have truly perfected the art of grassing golf course greens. Our vast experience with the most critical surface on the golf course shows when we plant a green. 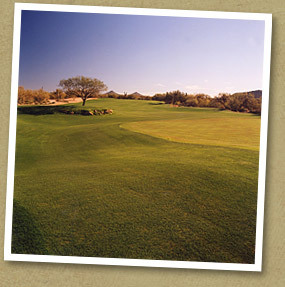 Evergreen Turf is experienced in planting all of the greens varieties used in Arizona, including the leading ultra-dwarf bermudagrasses, Tifdwarf, Bentgrass, and Tif Eagle.Whatever your planting method or variety, Evergreen Turf has done it, to perfection. 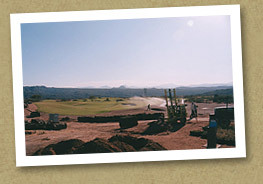 We offer the latest methods of fairway grassing including: Hydrosprigging, mechanical planting, and feature sodding. We also offer Fairway conversion methods using glyphosphate and acid treatment, transition sprigging, all enhanced with our exclusive stolon handling system. These are just a few examples why Evergreen Turf has become the preferred choice for golf renovation and construction projects.